• Designed for golfers with slower swing speeds below 85 mph who want to get the ball up in the air. • Barbell-shaped slot on the crown reduces the amount of stress while increasing the amount of deflection at impact. 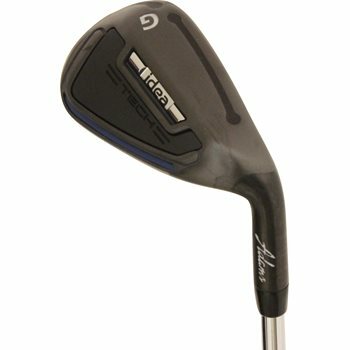 • Slot design makes Idea Tech have incredible ball speeds and greater distances. • Hybrid technology goes all the way the 7-iron with the bulge and roll design, creating better dispersion and more ball speed.